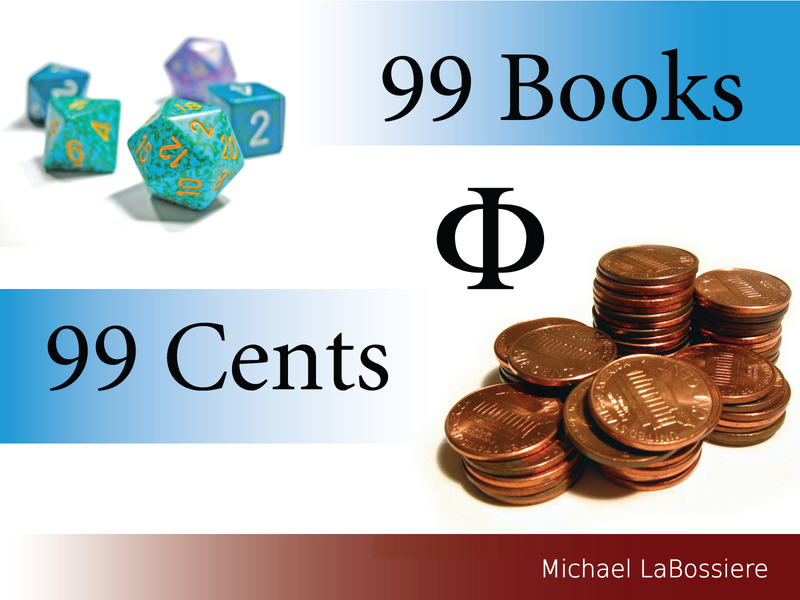 The purpose of the 99 Books 99 Cents project is, shockingly enough, to publish 99 books for 99 cents. It is now live on Kickstarter, awaiting the generosity (or lack thereof) of the people. Way back in the 1990s I created a Macintosh program called “Fallacy Tutorial” which, surprisingly enough, taught people about fallacies. After the program had been circulating the internet for a while, I started receiving requests to make the content available as text, then as a PDF file. Long after that, I started receiving emails asking me to make the book available for Amazon’s Kindle and this led to the publication of my first Kindle book, 42 Fallacies. This generated email asking me to make my work available for the Barnes & Noble Nook and I did so. The recent budget cuts to education in Florida provided me with extended (and unpaid) summer vacations and I used this time to write numerous books. Since my two main interests in writing are philosophy and gaming, I wrote a mix of philosophy works and Pathfinder Roleplaying Game adventures. Seeing the volume of volumes I was producing, my father asked me how many I planned to write. Jokingly, I said “I’ll write 99 books…99 books for 99 cents.” I continued to produce books and when I had over twenty I realized that I could actually make good on what started as a joke. That is, I could write 99 books and make them available for 99 cents each (which is the minimum price for the eBook sellers such as Amazon). Just as I had received requests to make my work available via the Kindle and the Nook, I received requests to make my work available via iBooks. I looked into this and learned that publishing directly through Apple and using their excellent software requires having a Mac and an iPad (to preview books). While I learned I could use a third party to distribute my books, I rather prefer direct control over my own work. Also, I tend to think that the main point of the iBook format is to take full advantage of the special features of this format rather than just distributing a chopped down, generic text file to all platforms. Sadly, my G4 iBook proved to be unsuitable for the task of publishing books through Apple and my main writing laptop, an Asus Netbook running Windows XP, is starting to really show its age. So, I decided to attempt a Kickstarter project to secure the funds needed to complete my project properly. Whatever the outcome of the Kickstarter, there shall be 99 books for 99 cents. I’ve set up the project site here.